Ok, there are a lot of things about Italian styling, but when it comes to foodservice display cases, the styles are just part of the benefits. In reality, there are many more reasons to consider foodservice displays created with an Italian eye in mind, and we’ve got just the right collection of units that can help you pull it off. Before we get into the nuts and bolts, though, let’s talk about what types of operations might benefit from those nuts and bolts (and glass). The first that come to mind are bakeries, coffee shops, cafés, and chocolatiers. While they certainly do require great displays to feature their products, other types of facilities such as universities, corporate cafeterias, and even healthcare facilities can benefit from great displays. Great displays require a few simple factors in order to be effective. They need to store foods at proper temperatures and conditions, primarily. Beyond that, though, they need to provide customers with an easy and efficient way to actually want to buy more. 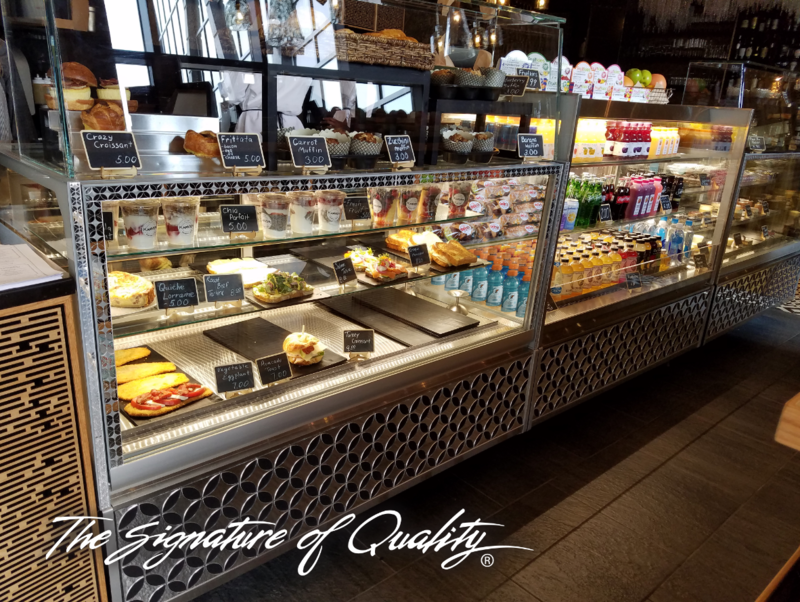 The goal of a foodservice display case is often to increase the chances for impulse, point-of-sale purchases. For starters, units must provide clear visibility. Glass needs to be high quality. It can’t be fogged up or cloudy. Shelving must allow for guests of varying heights to see through to the shelves above or below. And lighting must be set to just the right levels to not only display all the items in the case but also to, well, show them in just the right light. 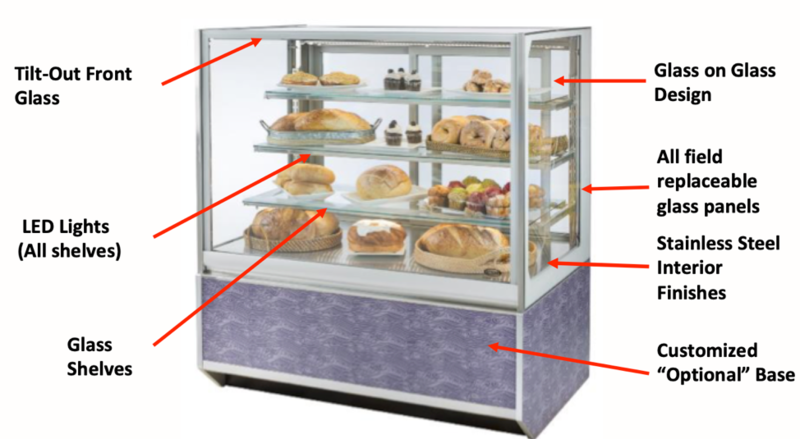 Foodservice display cases must also provide enhanced visibility. This is where the design becomes a factor. High-end displays, those made with Italian styling, should seamlessly add to the ambiance of the entire operation, while at the same time enhancing the products themselves. One of the biggest trends in food displays right now is a movement toward cases that resemble jewelry cases, and that is certainly the case with the Italian-styled displays from Federal. • Unit defrosts only when necessary for more efficient performance, lowering energy costs for the user rather than time based defrosting. • Ensures efficient use of compressor run-times in varying store conditions and enhances compressor life. 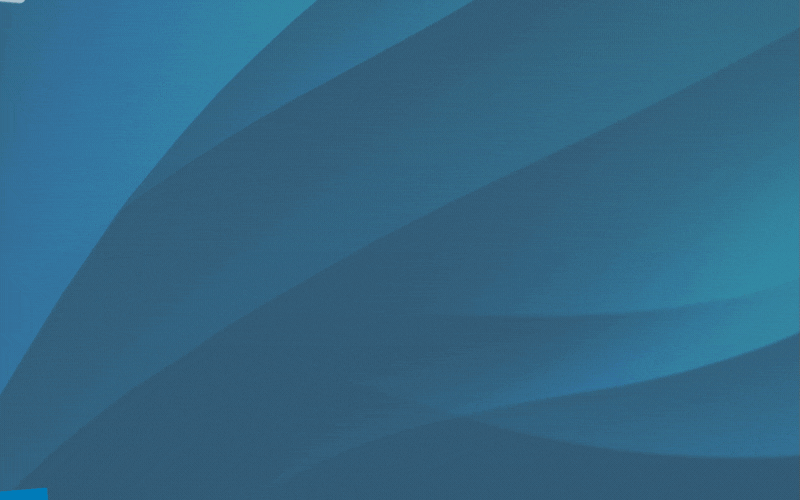 • Allows user to easily make control adjustments at the store level. We encourage you to learn more about Italian-style display cases from Federal, and we are here to help you in those efforts. Schedule some time to talk with one of our experts today.